Cross border activities of multinational companies face the problem of culture. The environment of international companies include several societies which may include very different cultures. Therefore, there is a very high probability that different cultures will clash during the activities of multinational (Sacra, 1997). Due to the growth of multinational companies and the globalization of markets, it is necessary to constantly attract managers and employees that are suitable and able to adapt to the multicultural environment. Numerous statistics indicate that demographic diversity in the workplace is a worldwide trend. In the United States, for example, the current labour force is older, more gender balanced and contains more ethnic minorities than in past years. These workplace changes are projected to continue to the point where women will slightly outnumber men and where there will be equal numbers of white and non-white employees in the year 2050 (Shore, 2012). The term "diversity" has been part of organizational and management literature for over twenty years. Indeed, the area is characterised by ambiguities, contradictions and uncertainties. This is why we are now more and more aware of its increasing importance in the private sector. In the context of this paper the effects of cultural diversity will be discussed along with the question, whether multiculturalism in international companies is the basis for better opportunities in competition to meet the challenges on a global scale. Another question that shall be answered is, to what extent cultural diversity management can lead to competitive economic advantages. For this purpose, the fundamental terms are interpreted first in the second chapter. The following chapter will address opportunities, risks and success factors, considering multiculturalism in international companies. In the last chapter, the stages of team development are illustrated using the "Tuckman Group Development Model". The current definitions of the term culture today are as numerous as they are different. In the past few centuries, several meanings of "culture" and word combinations of various kinds of research can be identified. Anthropology, psychology, sociology and also the management theory have often tried to express the phenomenon of culture in words. Difficulties arise from the different perspectives from which the individual sciences consider culture (Hofstede, 2009, pp. 9–10). The this first attempt of putting culture into words proves how complex the concept of culture is. Cultural research in its economic orientation beacme popular in the 1960s, when business-oriented authors realized that organizations and companies also have different cultures, which significantly influenced entrepreneurial success. During this time, Geert Hofstede conducted an empirical study with more than 110,000 IBM employees. Using a factor analysis, Hofstede developed the model of cultural dimensions that show the differences of national cultures (Hofstede, 2006, pp. 28–31). In colloquial terms, corporate culture is referred to as "the way we manage our business". In an enterprise, it describes the work-life character of an organization. For expample, it is characterized by the working atmosphere, the leadership behavior, but also by performance criteria and organizational structures. A typical function of corporate culture is to establish identity. The purpose of this is that each individual of the enterprise identifies itself as a member of a particular group or a performance unit (Herget and Strobl, pp. 4–16). There are as many scientific definitions of the term corporate culture as for the term of culture. Edgar H. Schein describes corporate culture as a whole cultural system. He infers in his "Model of Organizational Culture" the emergence of an organizational culture as the interplay of three different cultural strata. In his view, the elements of a culture can be subdivided, depending on their visibility, into the three levels artefacts and behaviors, espoused values and assumptions (Schein, 2010, pp. 23–33). Multiculturalism refers to the social structures of an organization or enterprise. In the sense of multiculturalism, it is assumed, that it does not come to the fusion of different cultures but that they exist side by side. The more multicultural a company is, the more it will appreciate, use and support cultural diversity (Cox, 1991, pp. 34–36). Multiculturalism takes up the problems of coexistence in different cultures within a society. The concept of multiculturalism seeks for opportunities of tolerance, understanding, acceptance and conflict avoidance or conflict therapy (Welsch, 1995). Interculturality is the collision of two or more cultures that are influencing each other, despite of cultural differences. 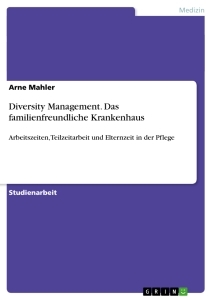 While international management is a matter concerning "hard facts" of transnational management activities, intercultural management sees cultural dependence on social groups and individuals. The essential parts of their social environment this perceived, interpreted, understood and acted in this manner of (Welsch, 1995). In the conceptual explanation of international enterprise, too, the contents and demarcation criteria have been numerous as well as varied in literature. The terminology used by most authors synonymously varies from international to transnational to global and multinational. Different concepts determine the degree of internationality based on the quantitative and qualitative criteria, for example number of foreign branches, share of foreign sales revenue, foreign market share, proportion of foreign employees in the total staff, orientation of the company policy or organizational or qualification structure (Dülfer and Jöstingmeier, 2011, pp. 5–7). Adler states that a company is considered international, if its foreign activities are essential to achieving and securing the company's goals and if the company's success is permanently influenced. In addition to spatial distance, the factor of multiculturalism is encountered, which has a positive or negative effect on the enterprise’s success. In simple terms, a company can be described as international if it is economically active in at least two states (Adler and Gundersen, 2008, pp. 13–18). Through the globalization of the markets, enterprises are exposed to both, multiculturalism and interculturalism. Therefore, we have become aware of their increasing importance in the private sector. Empirical research shows that multicultural teams are not always successful. They are either much better or much worse performers (Lehman and van den Bergh, 2004, pp. 27–29). 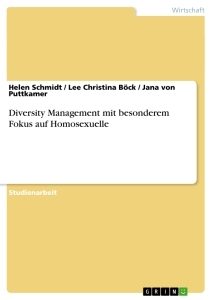 The term diversity has been part of organizational and management literature for more than twenty years. Defining the field of diversity is, however, still not easy. Indeed, the area is characterized by ambiguities, contradictions and unclarities (Bendl et al., 2017, p. 65). 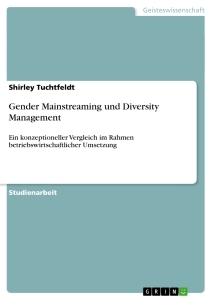 Academic research offers at least two reasons, why diversity should not be defined to refer only to people who are in a gender or ethnic minority group in a particular social system. Firstly, it has been noted that the diversity of workers includes group identifications beyond gender and ethnicity, secondly, theory and research on gender and ethnic effects by definition apply to members of the gender or ethnic majority groups as well as to those of minority groups (Cox, 1994, pp. 51–52). The benefits of diversity management in companies are seen in the fact that, if diversity strategy is used correctly with organizational efficiency and effectiveness, it brings considerable competitive advantages (Aretz and Hansen, 2002, p. 88). The impact of cultural diversity will therefore be further explored here, considering various aspects of how cultural diversity management can lead to economic competitive advantages. Companies will increasingly face challenges in the future due to globalization and demographic changes. But through intensive expansion, companies can win the best employees from different cultures and countries worldwide. Companies in which multiculturalism already exists reduce the cost of integration measures. 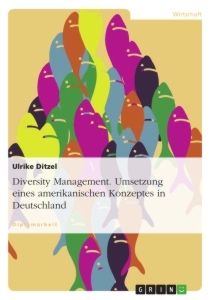 Furthermore, a study in the USA states that the turnover figures have increased due to diversity management. This generates cost advantages over competitive companies (Cox and Blake, 1991, p. 46). Multicultural teams use a working language for their activities, which on the one hand is detrimental as to mutual understanding but on the other hand gives the advantage of focussing on the essentials. Being different not only leads to more tolerance among the team members, but even among colleagues of the same nationality. Consequently, more space is left for tolerance and employees will feel more free to state their opinion. This leads to higher job satisfaction and increases the creativity of the team so that better solutions are developed in decision-making and problem-solving processes. (Lehman and van den Bergh, 2004, p. 28). In a business environment created by multiculturalism, investigations are considered from different perspectives. This approach brings great creativity that, in turn, brings innovation. The potential of each individual is completely unlocked. Taylor H. Cox and Stacy Blake conducted an experiment on homogeneous and heterogeneous groups as part of a study by Charlene Nemeth. In a series of experiments, participants were asked to form as many words as possible from a sequence of 10 letters. This experiment showed that heterogeneous groups were much more creative (Cox and Blake, 1991, p. 50). Just like the labour markets, the consumer markets are characterized by cultural diversity. Multicultural employees can help create an understanding of communication for customers of different countries of origin. As a result, there is an increasing awareness that can be successfully managed to meet the wishes and needs of these customers. These factors lead to both, higher market penetration as well as higher customer satisfaction (Lehman and van den Bergh, 2004, p. 28). The chances in the workforce lead to an increased potential of different abilities of the employees and thus to a large synergy potential, which is difficult to copy due to the individuality of each employee. The system is less standardized and flexible, and thus can respond more effectively to ever-changing environmental conditions. The problems of communication can be both verbal and nonverbal. The verbal communication difficulties occur when not all team members master the working language at the same language level. In discussion panels, in which decisions are made, native speakers dominate and control the meeting and the results. Thus, the advantage highlighted above as the factor of perspective diversity drops away. Emotions can be difficult to express, which can lead to misunderstandings and loss of confidence. The nonverbal communication difficulties can occur, when different communication behaviors of different cultures collide. For example, eye contact during the conversation is perceived as unpleasant and obtrusive in China, although in Germany it is a sign of interest (Lehman and van den Bergh, 2004, pp. 28–29). In different countries, education is offered in different quality depending on the economic strength of each country. This means that an employee who has completed their educational path in Germany may have a better education level than someone from the Philippines. This could affect the quality of projects in the team or the speed of work (Cox and Blake, 1991, pp. 45–46). Different goals and expectations can make it very difficult to align all employees towards a common goal. Misunderstandings arising from communication difficulties and the possible impairment of quality of work, which is highlighted by educational status, could lead to mutual distrust (Lehman and van den Bergh, 2004, p. 28). Cultural diversity brings an increasing complexity, which also becomes noticeable in managerial tasks. They require appropriate integration- and coordination efforts which are associated with costs. Furthermore, different standards must be observed in different countries. In order to be able to comply with these standards, an increased need for control is necessary, which subsequently influences the costs (Cox and Blake, 1991, p. 46). This disadvantage is present when teams from different locations or countries have been put together. Although the distribution is considerably shortened today by digitization, in some countries the communication infrastructure is still not well developed. This can lead to information loss which in turn delays the speed of decision making (Lehman and van den Bergh, 2004, p. 31; Osterwalder, 2005, pp. 14–20). Whether a company with multiculturally composed employees will benefit from the opportunities and risks or suffer damage from them depends primarily on the way the team deals with the prevailing multiculturalism. The most successful companies are those that manage to make effective use of opportunities and risks and avoid conflicts right from the start. Teams with a high degree of heterogeneity achieve the best results. The precondition for the development of cultural synergies is the ethnically conditioned attitude of all team members. To ensure this, tolerance, sensitivity, respect and curiosity towards people from other cultures are the core characteristics that members of multicultural teams must have. It must be ensured from the outset that ethnocentric people who view other cultures with prejudice and rejection have no place. Care must also be taken to ensure that the composition of the teams do not create an imbalance through educational level or position status. Highlighting the common features of the team members promotes understanding and facilitates mutual trust. The distribution of tasks is also a key success factor, since the central strength of multicultural teams is their flexibility and creativity. In contrast, the weakness lies in the coordination of processes. International teamwork is often associated with intensive travel and therefore the infrastructure is a prerequisite for the effectiveness of multicultural teams (Lehman and van den Bergh, 2004, pp. 29–31).